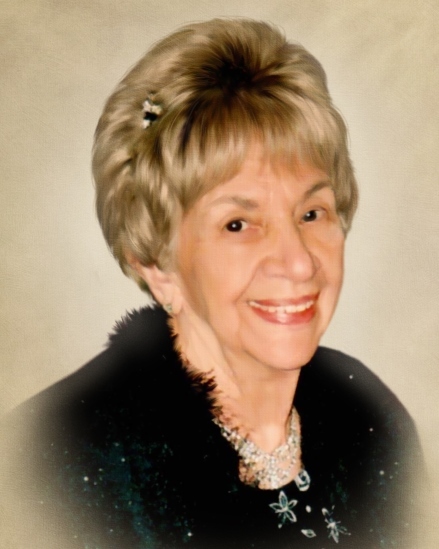 Irene (Zagurski) Slovinski, 101 years young, of Bristol, widow of Walter W. “Sonny” Slovinski, died on Friday (February 8, 2019) at home. Irene was born in Pequabuck on December 9, 1917 and was a daughter of the late Stanley and Sophie (Zelienski) Zagurski. She was raised in Terryville attending Terryville schools before moving to Bristol where she was a parishioner of St. Stanislaus Church. She worked for Cooper Thermometer before retiring. She enjoyed quilting, sewing, baking, playing cards with friends, dancing, and, as an avid tag sale fan, she enjoyed hosting and visiting tag sales. Christmas time was special to her and found her baking hundreds of cookies to share with family and friends. Also, her famous pierogi were eagerly awaited by her neighbors and were part of the family's Christmas Eve ritual. Irene is survived by a daughter: Laurie Roberge-Piteo of Bristol; a sister: Virginia Bolas of Bristol; a grandson, Ryan Roberge and wife, Mariam; two great-grandchildren: Mina Heather and William Anara Roberge; and several nieces and nephews. She was predeceased by six brothers: Lawrence, Walter, Edward, Joseph, Henry, and Arthur Zagurski, a sister, Jean Rybczek, and a beloved granddaughter: Heather Roberge. A Mass of Christian Burial will be celebrated on Saturday (February 16, 2019) at 10 AM at St. Stanislaus Church, 510 West Street, Bristol. Burial will follow in St. Joseph Cemetery, Bristol. Relatives and friends may call at Funk Funeral Home, 35 Bellevue Ave., Bristol on Saturday between 8:30 and 9:30 AM. Special thanks to the Bristol Hospice team who were outstanding. Her home health aide, Amie Ceesay, lovingly cared for her for over 2 years which enabled her to remain in her home until the end. This was her last wish. In lieu of flowers, memorial donations may be made to the Shriners Hospitals for Children-Springfield, 516 Carew St., Springfield, MA 01104. Please visit Irene’s memorial web-site at www.FunkFuneralHome.com.